Green 300 1. 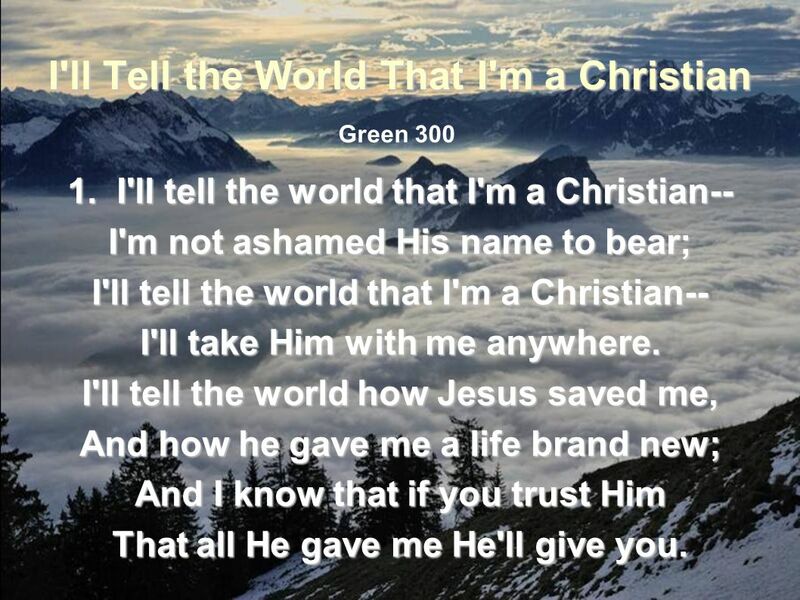 I'll tell the world that I'm a Christian-- I'm not ashamed His name to bear; I'll tell the world that I'm a Christian-- I'll take Him with me anywhere. I'll tell the world how Jesus saved me, And how he gave me a life brand new; And I know that if you trust Him That all He gave me He'll give you. I'll tell the world that He's my Savior, No other one could love me so; My life, my all is His forever, And where He leads me I will go. 2. 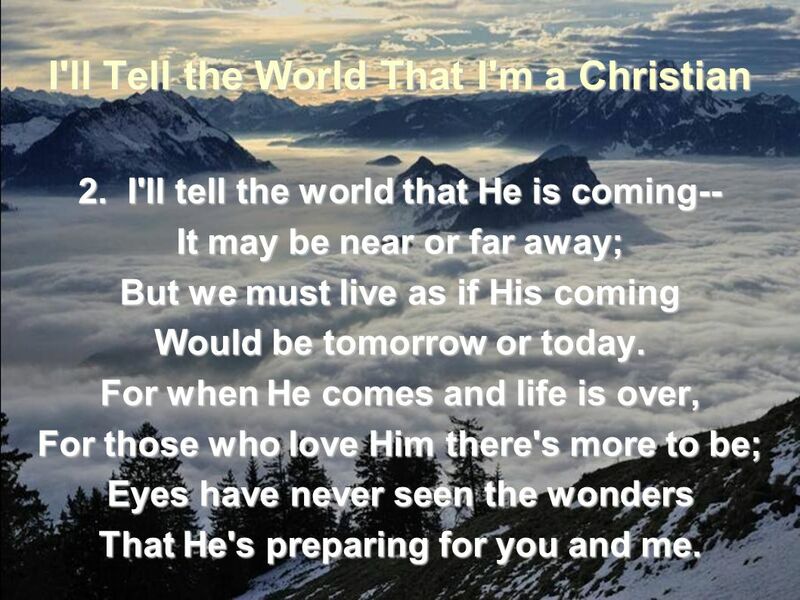 I'll tell the world that He is coming-- It may be near or far away; But we must live as if His coming Would be tomorrow or today. For when He comes and life is over, For those who love Him there's more to be; Eyes have never seen the wonders That He's preparing for you and me. 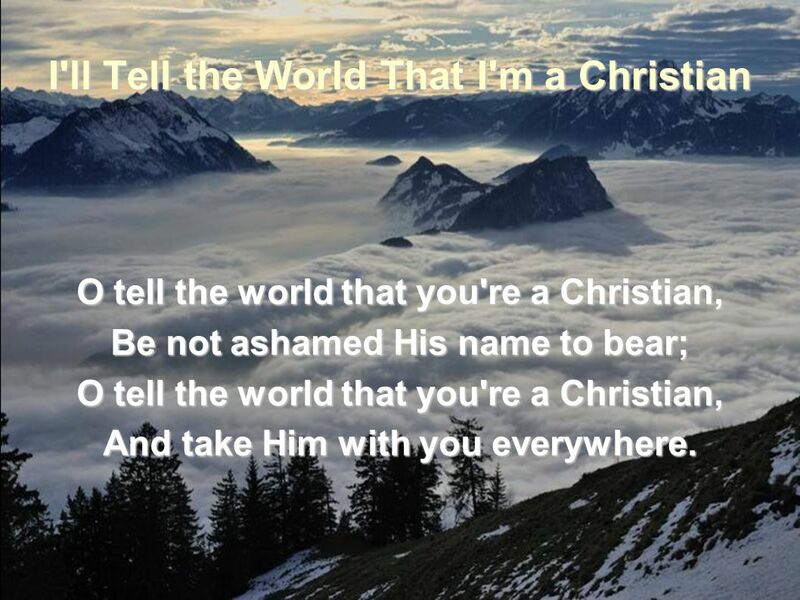 O tell the world that you're a Christian, Be not ashamed His name to bear; And take Him with you everywhere. 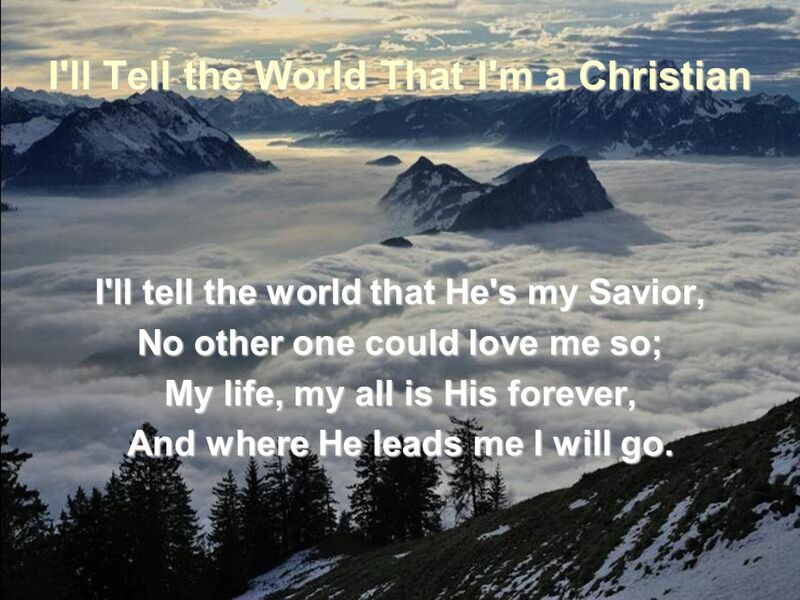 Download ppt "I'll Tell the World That I'm a Christian"
Jesus Loves Me. Jesus loves me this I know, for the Bible tells me so. Little ones to Him belong. They are weak, but He is strong. Jesus Loves me: Verse. Best Friend Have you heard of the one called Savior? Have you heard of His perfect love? Have you heard of the One in Heaven? Have you heard how He gave. Have you heard of the One called Savior Have you heard of His perfect love. My Faith Has Found a Resting Place My faith has found a resting place Not in device or creed; I trust the Ever-living One His wounds for me shall plead.